For Chicagoland high school students looking east for college, UVM has long been a powerful draw. That non-stop ORD to BTV plane ticket especially appealing, no doubt, to generations of UVM parents. 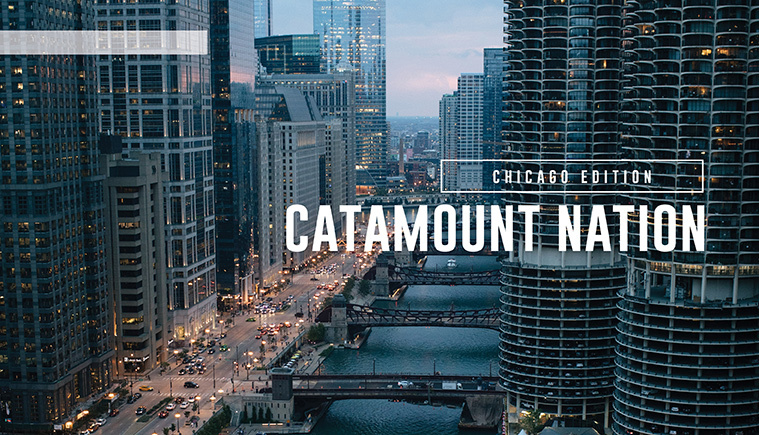 Some of those Illinois natives return home post-graduation to make their careers, and many transplants find a totally new home in this vibrant hub of the United States. In this issue, we check in with a circle of Catamounts making their lives and careers from the Loop to Logan Square, South Side to the suburbs. WORK: Patient advocacy with Kindred Healthcare, focused on facilitating transitions from intensive care to long-term acute care. A mother of four, Morrissey counts raising her sons as “the most fulfilling work of my life.” A breast cancer survivor, she is in the process of documenting her illness, participation in a national vaccine trial, and recovery in a memoir. Morrissey’s mindset for the memoir is to find the humor in her most trying times, promising a section on the moment the entire operating room team serenaded her with the chorus of seventies hit, “Brandy.” UVM: A business administration major, Morrissey sampled widely with electives—photography, film, philosophy. She has keen memories of good times with friends in the Vermont outdoors, skiing the mountains in winter and the lake in summer: “We’d get up when the sun rose and the lake would look like glass.” CHICAGO FAVE: A resident of Ravinia in Highland Park, Morrissey lives near the famed amphitheater, where she’s enjoyed shows from James Taylor to Van Cliburn to Lady Gaga. Even without a ticket, still good: “It’s majestic in the summer when I can hear concerts from my front yard. WORK: Owner/founder of Center & Room to Breathe Integrated Therapy and Yoga, located in the Loop. A psychology major and lacrosse standout for the Catamounts, Buxton says she wasn’t quite ready to leave the world of athletics with graduation. It led her to earn a master’s degree in counseling with a specialization in sport and health. Room to Breathe evolved out of Buxton’s therapy private practice. UVM: Juggling varsity lacrosse and her initial pre-med biological sciences major was a stern test, Buxton admits, but also a time of great personal growth. Sandy Wurthmann, her organic chemistry professor, earned her appreciation to this day: “Orgo was my nemesis, but he got me through. Asking for help was the only way.” CHICAGO FAVE: A resident of the Logan Square neighborhood, Buxton loves walking The 606 (AKA Bloomingdale Trail) in the same part of the city. A 2.7-mile former elevated rail line, the recreation area is Chicago’s answer to Manhattan’s High Line. 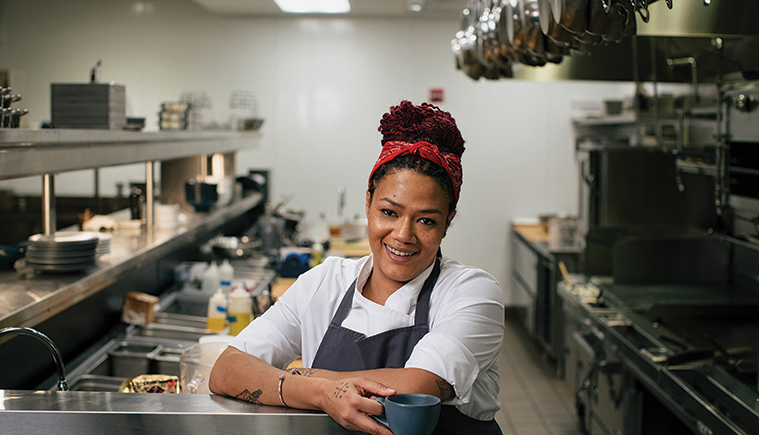 WORK: Sous chef at Free Rein in the St. Jane Hotel in the historic Carbide and Carbon Building on Michigan Ave. “The hours are long and brutal, and sometimes working at Michelin Star level feels like a lot,” Shepherd says. “But whenever it becomes too much I remind myself that feeding people is the original form of social work, and ultimately I chop vegetables for a living.” UVM: Academic journey took her from art history to human development and family studies. An internship at Outright Vermont introduced her to the Chittenden Emergency Food Shelf, where she met chef Jamie Eisenberg, a mentor who would guide her toward culinary school and eventually to taking the leap to Chicago’s big city market. Beyond class: ALANA House program director at L/L, event’s management at Davis Center, women’s rugby, Ski and Snowboard Club trips to Sugarbush, maple creemees in summer. She dreams about returning to Burlington someday and opening a small curry shop. CHICAGO FAVE: Winter: Garfield Park Conservatory. Spring: Restaurant Week sampling. Summer: Andersonville Street Festival. Fall: Local breweries to check out the seasonal fixings. 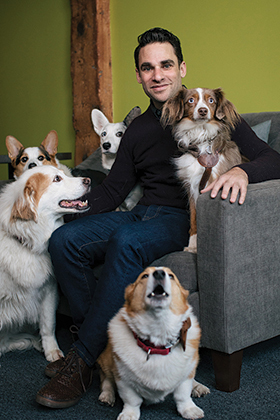 WORK: Over the last twenty years, Lipschultz has grown Out-U-Go!, his dog-walking/pet-sitting business, into nine locations in three states. In the early years, he was out walking dogs and checking in on cats himself. These days, he’s managing brand, operational, and growth development strategies. UVM: An English major, Lipschultz also took many environmental studies courses. “My environmental studies classes were heavily influential in my world view then, and still today,” he says. “My English classes taught me to write critical assessments which I use professionally every day, even in the world of dog walking.” Perhaps not surprisingly, one of his favorite Burlington pastimes was heading to a lakefront park to toss a Frisbee for his pup, Scrap. CHICAGO FAVE: A native of the city, Lipschultz says the Apollo 8 capsule at the Museum of Science and Industry has fascinated him since childhood. Recent favorites: First Ascent climbing gym with his son and dinner at Little Goat with his wife. WORK: Owner of Atlas Performance, a chain of gyms in the city focused on class-based, high-intensity training with CrossFit among their formats. “Going to work every day and having the opportunity to make an immediate impact on another person is pretty special,” Parry says. “Beyond that, being your own boss is rewarding in that you push yourself much harder than any other person could. Your business’s success is completely dependent upon you, and there is 100 percent accountability.” UVM: On the face of it, there doesn’t seem to be a direct connect between his studio art major and running a gym business. But Parry says, “It helped me develop my creativity immensely, and that quality is invaluable to any entrepreneur.” Beyond campus, Parry took full advantage of the Vermont landscape—from Red Rocks in town to hiking Camel’s Hump to skiing Mansfield. 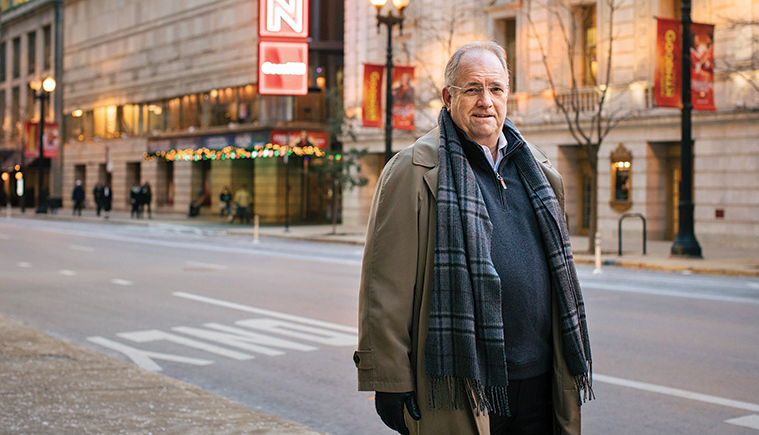 CHICAGO FAVE: It’s a slow-pitch question for the Chicago native and lifelong Cubs fan. Bleacher seat and a beer at Wrigley Field. WORK: Emerita professor of pediatric hematology-oncology at the University of Illinois College of Medicine, Chicago campus. Dr. Seeler was instrumental in the 1973 founding of Camp Warren Jyrch, a week-long camp for kids with hemophilia and other bleeding disorders. For many years, she also gave up a week’s vacation to serve as the camp’s director. UVM: Seeler’s ties to the university have remained close long beyond graduation. 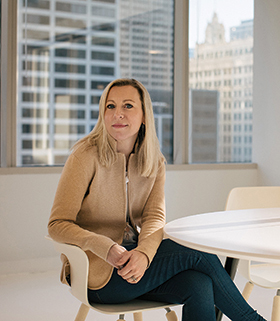 She’s been deeply involved with alumni events, reunions, the Gamma Phi Beta alumnae group in Chicago, and is a generous supporter of the Larner College of Medicine. A scholarship in her name aids UVM medical students pursuing careers in primary care. “There is a dearth of primary care physicians. We have a desperate need for them, but students are drawn to traditionally higher paying specialties, particularly in view of the need to pay off their student loans,” Seeler says. “I want to help reduce the debt burden for students who want to specialize in primary care so they can afford to do so.” CHICAGO FAVE: An enthusiastic athlete who learned to downhill ski at UVM, Seeler later competed in triathlons. During her training days, she says a favorite routine was riding her bike from her home in the Lincoln Park neighborhood down to Oak Street Beach and doing a long swim. WORK: Assistant provost and executive director of the Center for Identity + Inclusion at the University of Chicago. 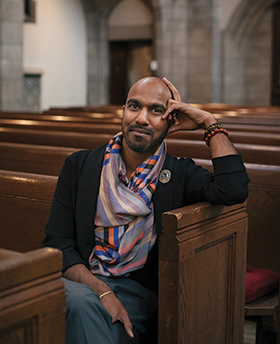 “Given the current sociopolitical climate, supporting marginalized students, staff, and faculty; using our institutional voices to challenge injustice; and fostering access to higher education is essential to our future.” As a Desi queer, gender non-conforming immigrant, and first-generation professional, Bhattar adds that their own identity can be an affirmation for today’s students: “I want to ensure that other young people have role models that look like them, because I never had that in college.” UVM: While earning a master’s in higher education and student affairs administration, Bhattar found many influences at UVM, starting with the late professor Jackie Gribbons, “a feisty, brilliant, and thoughtful teacher.” Documenting the history of inclusion and diversity at UVM introduced Bhattar to the painting of the late David Bethuel Jamieson, leading to efforts to display the artist’s “Self Portrait at the University of BLACK Vermont” in the Davis Center. CHICAGO FAVE: Museum of Science and Industry for interactive displays and people watching.